Get your logo on the Koozie Picnic Basket Promotional Cooler. Apps are giveaways, resorts, food related, promotional items. plus ice, top compartment dry items, Alum. carry handles. Overall size 19 w x 9 3/4 h x 11 deep. 5 Basket Colors. You MUST order the cooler lots of 8 units over the min. 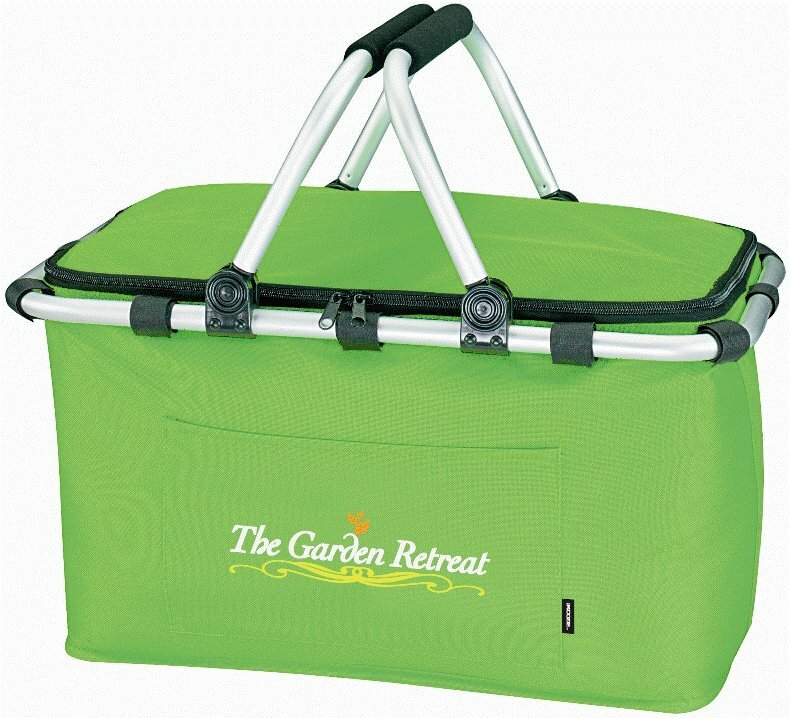 Price includes a one color imprint on front area 7" w x 3 1/2" h.
Maximum - four imprint colors for the picnic cooler.